Suzuki GSX-R 1000 Motor Power in VW-Käfer Hot Rod - reißt böse an! Mörder! Check out this crazy creation from the minds of Hudlow Axle in Georgia. 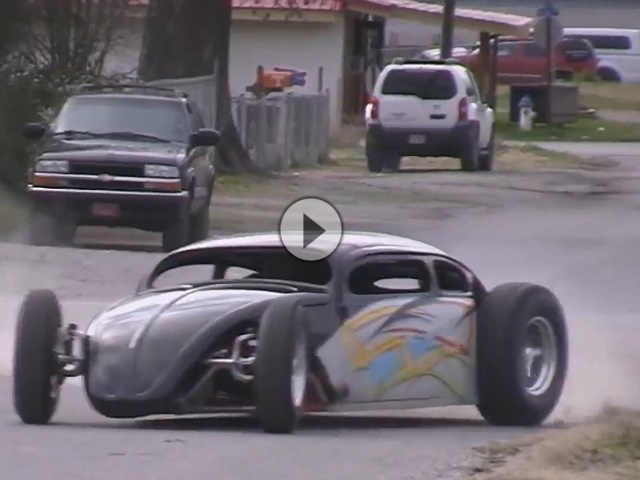 They made a Hot Rod VW Bug with a GSXR 1000 Motor! This thing rips. It uses air bag suspension, custom 2wd cherokee front axle, sidekick rear axle, and much more.